Be sure to wear your hair upswept to optimize the face-illuminating potential of these Ippolita earringsthe hand-hammered finish and modern, cascading silhouette will catch the light at all angles. 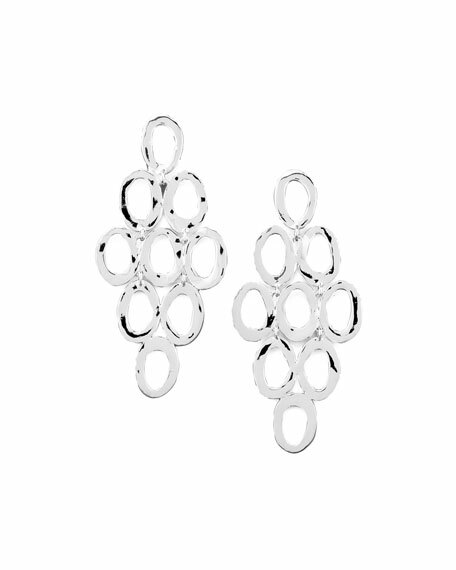 Ippolita post earrings for pierced ears. Flat links shape cascade silhouette.